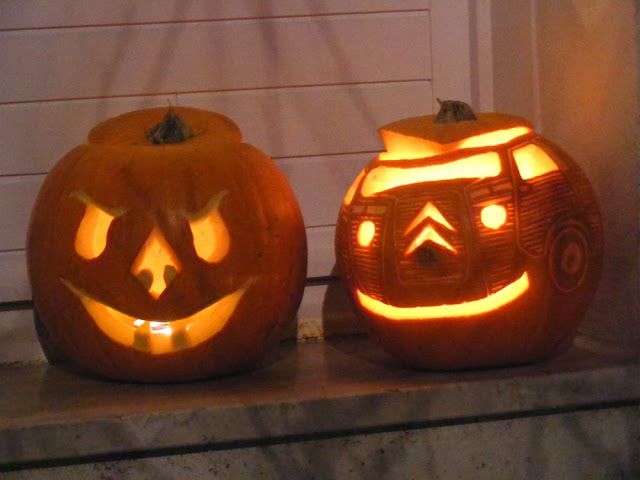 Our friend Tim B carved these Halloween pumpkin lanterns a couple of years ago for a party at his place in le Petit Pressigny. We were most impressed by the Citroen H-Van pumpkin. Au jardin hier: While I was weeding in the potager the squirrel appeared. He was most put out to see me there. Oooo he was cross! There was a lot of tail twitching and foot stomping and agitated running along the top of the grape trellis to make sure I got the message that my presence was unwelcome in his orchard. A la cuisine hier: Roast rolled loin of pork stuffed with apple and onion fried in butter with ground cumin, coriander seed, cinnamon, ras al hanout, ginger, salt and pepper. I added Vouvray wine to the roasting pan and basted occasionally. Served with steamed organic broccoli. I was amused by an exchange between the butcher and the customer before me when I bought the pork yesterday morning. The butcher neatly wrapped her purchase of veal escalopes up in paper and handed it to her. 'Do you have a bag (une poche)?' she asked. 'No, I don't use them any more.' 'But it's not convenient to carry this loose.' 'Well you should have brought a bag. You'll have to get used to it.' The message was delivered with a suitably Gallic shrug. 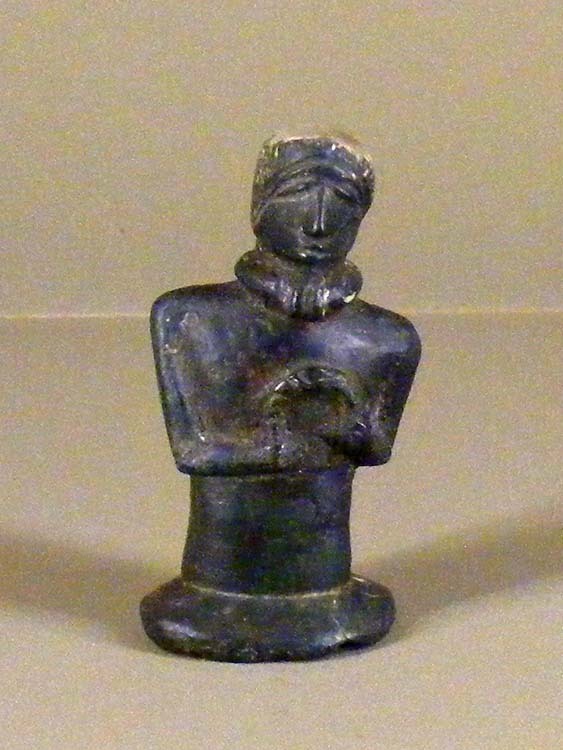 This little figurine is in the Musée de l'Hospice Saint-Roch at Issoudun and dates from the 1st century before Christ. The small bust probably comes from a tomb on the Colline des Tours at Levroux and is one of the rare examples of a human figure in bronze from the end of the Iron Age. The figure wears a torc with buffer style terminals around his neck and holds a second twisted wire style torc displayed against his chest. This characteristic set of Celtic ornaments, even without any other sign, tells us that this is a druid, hero or venerated ancestor rather than a god. Other similar representations but in stone have been found in central Gaul. For instance, a figurine of a man in a similar pose, with arms across his body and holding something in his hand was found at Paulmy. However in the treatment of the details of the face the strongest similarities are with bronzes from the east of Europe. The eyes represented by an oblique line, the long straight triangular nose, the thin horizontal mouth, the hair combed to the back in parallel rows and held by a band are characteristics similar to a little head carved on a pin for some armour discovered in Bohemia. Robert Percy Brand 1893 - 1964. Enlisted as a private in the Essex Regiment on 30/10/1915, Service number 21735. We know very little about my grandfather's history except for some dates. We will be marking those dates when the centenary of them occurs. According to the local paper the Département is ready to welcome the first refugees coming from Iraq, Syria and Eritrea. There is reported to be between 150 and 200 in number. The French President has pledged to take 24 000 refugees from war torn Iraq, Syria and Eritrea over the next two years. That is in addition to the 6700 who have already arrived this summer. A month ago the Prefect of Indre et Loire called a meeting of all those who were likely to be involved in receiving the refugees so they could be fully informed. At the meeting it was envisaged that the Département would take 240 people. That number was adjusted last week to 150 - 200 people over two years. A government spokesperson said they will arrive in small groups of two or three families at a time. He was at pains to say that it wouldn't be busloads of fifty people arriving tomorrow, but the first are expected before the end of the year. Based on the experiences of other countries decades ago when receiving Vietnamese boat people, it seems to me that the authorities might be making a mistake in keeping the groups so small, especially when the families backgrounds might not be the same. Ten or twelve families at a time where possible works better because its too small a group to form a ghetto, but big enough to form self help support groups within the migrant community. A Fox moth caterpillar with its smart livery of black pelt and orange trim. In anticipation of the refugees arrival the Prefecture has reserved 30 rooms in a hostel at Grandmont in Tours. This social housing project will act as a clearing house, where the refugees health and other needs can be assessed before they are transferred to long term accommodation. The towns of Tours, Montlouis, La Riche, Chambray, Preuilly-sur-Claise, Langeais and Chinon have already proposed accommodation. These include three social housing authorities and even some private owners with empty accommodation. All of these proposals will be checked and assessed individually. Private citizens are not encouraged to offer rooms in their own homes, as this is seen as too risky in the long term. Goodwill sometimes dwindles very quickly in these situations. 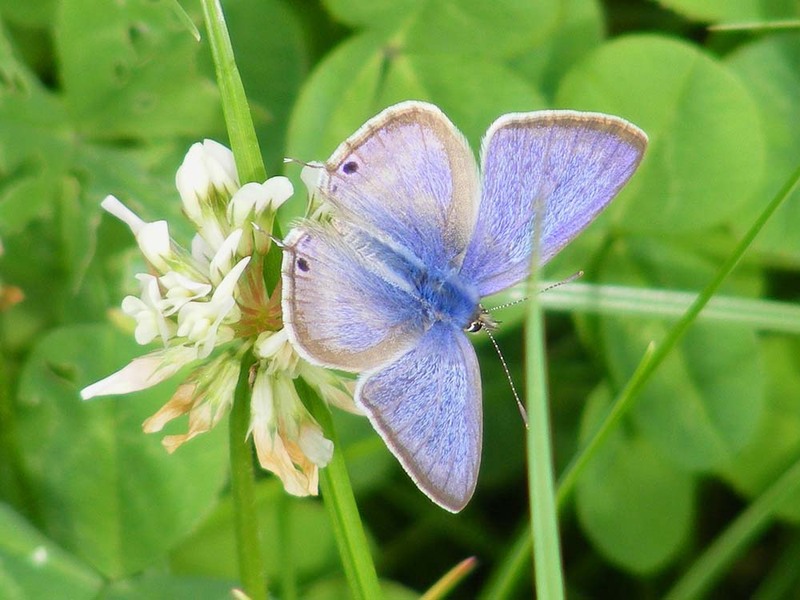 The Common Blue butterfly may be 'common' but it is still one of the most beautiful. Each local council will receive a grant of €1000 per lodging put at the disposal of the refugees. Each refugee will get aid of €1500 to set themselves up in their long term housing. 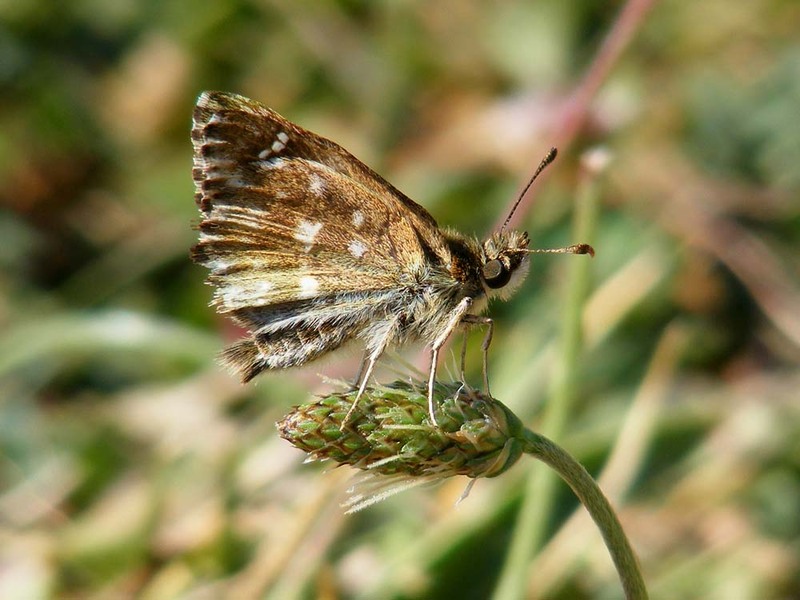 A Grizzled Skipper, tiny and with a subtle charm. Another group of immigrants are those seeking asylum from Eastern European countries and the government authority responsible for asylum seekers is creating a new centre in Chinon next January which will have 80 beds. This will bring the Département's capacity to take 'classic' asylum seekers up from 260 to 340 people. Looking up the gusset of a Jersey Tiger. 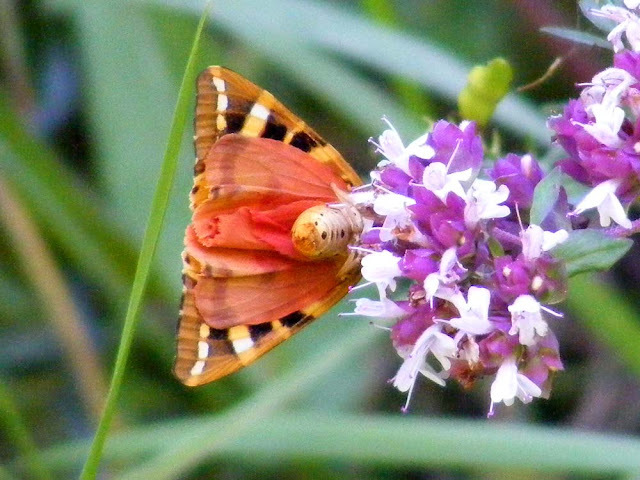 The folds in the underwing are interesting. Male Long-tailed Blue butterfly on clover at the Chateau of Azay-le-Rideau. Far from the Parisian policies which see the distasteful swinging of the debate from the skin colour of some to pork meat in everyone's meals, Tours is trying to play a somewhat more humane game. The city has already received 130 refugees from Iraq and Syria and they are installed. The Département has said it is ready to welcome, as promised, 150 - 200 migrants fleeing war zones, in small groups over the next two years. It's a consistent gesture of openness and is accompanied by the task of not leaving these people homeless, so co-ordinating permanent housing for them. Only private individuals initiatives are being rejected, as the authorities fear that today's heartfelt desire to help may not last. 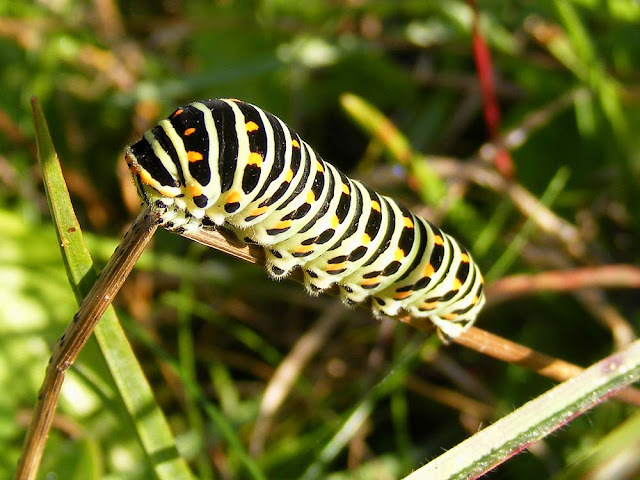 Swallowtail caterpillar taking a rest from munching on Wild Carrot in our orchard. The photos have nothing to do with refugees. I couldn't think of a sensible way to illustrate this post, so I've just put nice wildlife photos in. Loire Valley Nature: A new entry has been created for Wild Angelica Angelica sylvestris. This is a cousin of the plant once used to make candied stems for green cake decorations. Two photos of different soil types have been added to the Vineyards section of the Agricultural Land Habitat entry. The two parcels of vines are right next to one another but produce very different wines. A photo of an adult Violet Ground Beetle Carabus violaceus has been added to the Ground Beetle Carabidae entry. This is a large black beetle with irridescent flashes of violet, a ferocious hunter whose diet of slugs means they are a good friend of the gardener. A new entry for Violet Oil Beetle Meloe violaceus has been created. 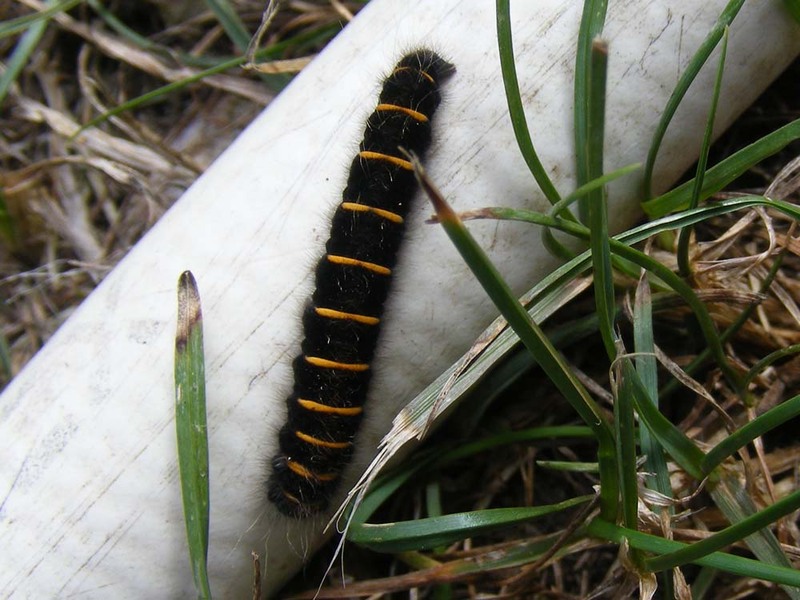 These beetles are an important indicator species for the state of flower rich grassland. Butter a bundt tin, make sure you cover it well. Put a tablespoon of dessicated coconut in the tin and rotate. Once the coconut has stuck to the butter add more, until the tin is lightly coated. Lose any excess by shaking the tin over the sink. Put teaspoon sized dollops in the bottom of the cake tin. Arrange pineapple rings on top. Beat the butter and sugar with 2 or 3 tablespoons of the pineapple syrup with a fork. It's remarkably easy to get it to a soft consistency. Add all the other stuff and mix well. 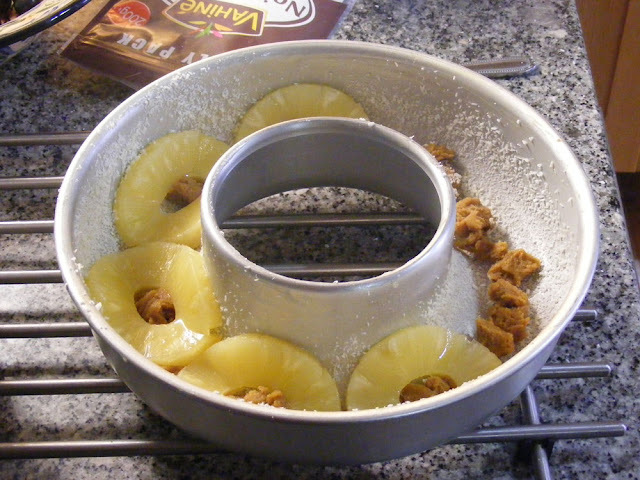 Spoon into the tin on top of the pineapple and smooth it so it’s more or less level. Bake for 35 mins. Leave to stand for 5 mins, then turn out onto a plate. I made this cake for cake club last week. The combination of coconut and pineapple (and the caramel) works really nicely. Giuseppe Garibaldi is a key figure in the unification of Italy. He was widely admired in France, Britain and the United States as a courageous military leader and principled politician dedicated to the fledgling modern Italy. He was born in Nice in 1807. The town was French at the time of his birth, but had been annexed from Italy only a couple of years before, then later given to Victor Emmanuel II of Sardinia in 1814 as part of the peace negotiations at the end of the Napoleonic Wars. The Garibaldi family were involved in coastal trading and Giuseppe became a merchant marine captain. He also became involved in the burgeoning political and social movement to unify Italy. After a failed insurrection resulted in him being condemned to death he fled to South America. Here he met his redoubtable wife Anita and took part in the Uruguayan Civil War. Later his followers would be famous for the red flannel shirts they wore in lieu of a uniform, and it is probably in Uruguay that he first got his men to wear them. 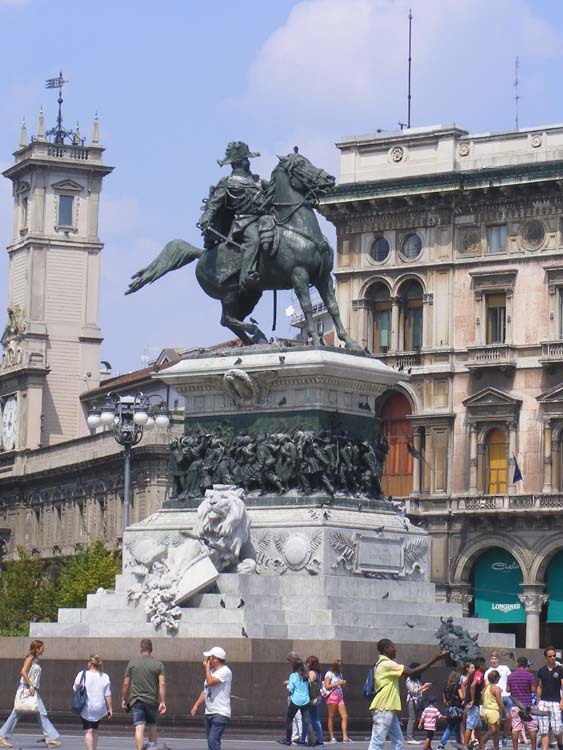 The bronze equestrian statue of Garibaldi in Milan. In 1848 revolution broke out in Italy again and Garibaldi returned with a legion of men. He offered his services to the provisional government of Milan, who had rebelled against the Austrians. After winning several victories in Lombardy he went to defend Rome against the French. Ultimately the siege of Rome resulted in surrender and Garibaldi fled north hoping to reach Venice with 4000 men. In the end, only 250 remained at his side and his pregnant wife died on this march. Once again he was forced to flee to the Americas. He returned to Italy in 1854 and bought the island of Caprera, where he became a farmer. In 1859 the Second War of Independence broke out and Garibaldi was appointed a Major General and raised an army of mountain volunteers who would be the template for the famous Alpini some years later. Then he took Sicily and Naples, handed them over to Victor Emmanuel and went back to being a farmer on Caprera. After a couple of years progress on unification was not going to Garibaldi's satisfaction, so he decided to step in again. Pro-monarchy but anti-Catholic, he decided to take Rome. This was not officially sanctioned, he was wounded and when the action failed he was imprisoned for a while. The next time he took up arms it was with the full support of his government in 1866 and he took his Alpine troops to war against Austria. After dealing with the Austrians he once again attempted to take Rome and once again was wounded and imprisoned. In 1870 the Franco-Prussian War broke out and somewhat to his compatriots surprise he was strong in his support of the French. In the last years of his life he was a member of parliament, but spent most of his time on Caprera. He still actively supported reforms such as universal suffrage, abolition of the papacy and church property and the establishment of a standing army. He died in 1882, an international legend. Loire Valley Nature: A photo has been added to the Big Rivers habitat entry. It shows the Indre at Ussé. A new entry has been added for Wild Liquorice Astragalus glycophyllus. The clocks went back last night so daylight savings has ended. In English in the Northern Hemisphere you can use the mnemonic 'fall back' to remember that the clocks go back an hour at this time, and in March they 'spring forward. Clock at the chateau of Cheverny. There is a mnemonic in French as well, but it doesn't seem quite so neat to me. Octobre ends in 're', so the clocks recule (reverse). In spring, the month of avril reminds you to avance (go forward). Unfortunately the clocks go forward the last weekend of March, but I guess near enough is good enough. Loire Valley Nature: A photo has been added to the Early Spider Orchid Ophrys sphegodes entry. This close-up shows just how beautiful these orchids are. A photo has been added to the Spotted Longhorn Chlorophorus glabromaculatus entry. I used a whitebox technique to try to get the best possible detail on the beetle. I'm not happy with it, so I need to practice this some more. A photo has been added to the Rural Tracks habitat entry. It shows a waterlogged track used by farmers and walkers in the Brenne. A photo of Ectophasia crassipennis has been added to the Parasitic Flies Tachinidae entry. The species parasitises bugs. A photo has been added to the Bloody-nosed Beetle Timarchus tenebricosa entry. A new entry has been created for Purple Toothwort Lathraea clandestina. An unusual and attractive plant. A new entry has been created for Wall Screw-moss Tortula muralis. This is the most common moss on limestones walls. A photo has been added to the Common Twayblade Neottia ovata entry. These orchids aren't showy, but a close-up of some of the flowers reveals their subtle details. Another of the ceramic panels at Tours Station, this one highlighting Amboise. 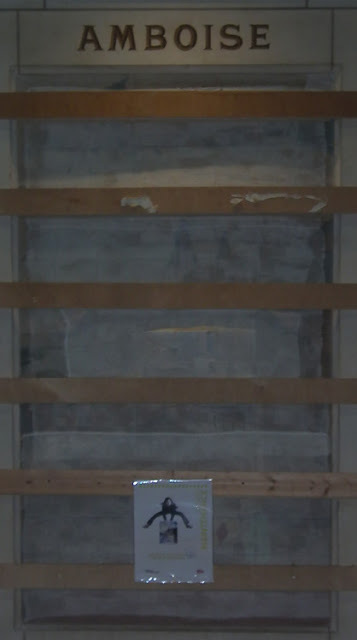 As you can see, this was one of the first panels to be removed for conservation. Unlike our other posts on the subject (like this one), there is no need to print a timetable for the trip Tours to Amboise. You catch one of many trains a day that got to either Orleans or Paris Austerlitz and get off at Amboise (usually the first stop after Saint Pierre des Corps). 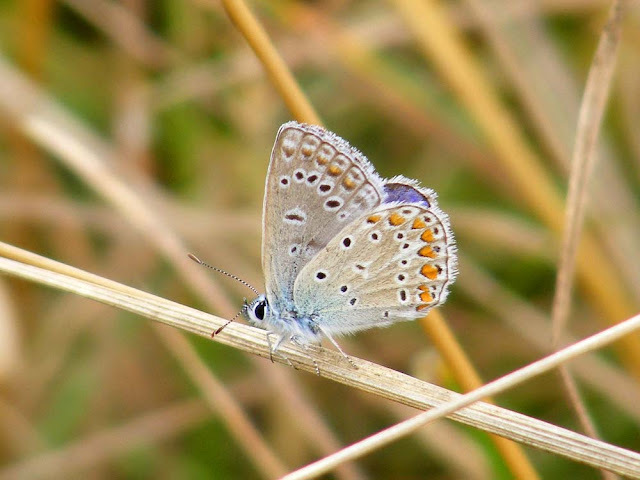 Loire Valley Nature: A new entry for Heathland habitat (Fr. 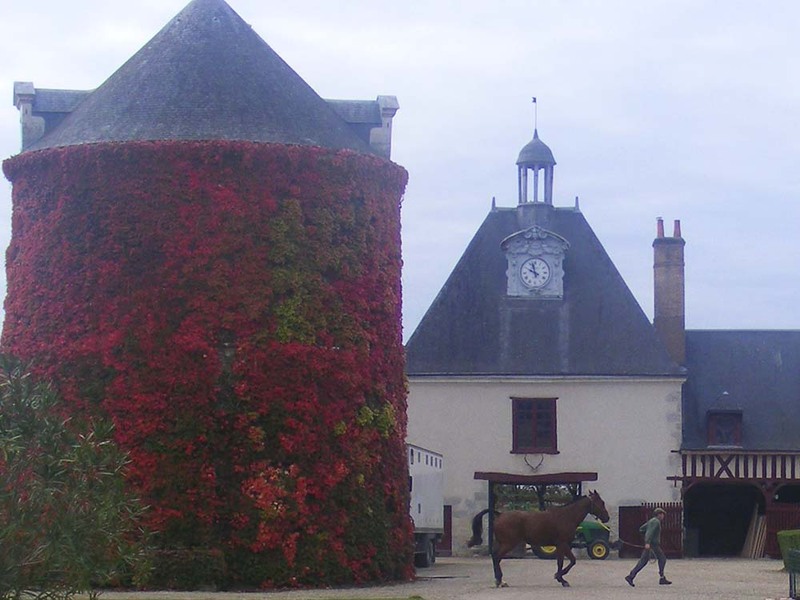 landes et brandes) has been added. These acid sandy soiled habitats are particularly a feature of the Sologne and the Brenne. Au jardin hier: I've brought the last of the grapes in. They were falling off the vine in significant numbers, so now is the time to finish them with a batch of grape jelly. The last of the walnuts have also fallen and been gathered. This year's crop was the best we've had. The Aged One says his crop next door has been very poor, affected by the dry summer and there is a lot of insect damage. It remains to be seen how many useable nuts I get as they need to dry for a week or so before I get cracking. A la cuisine hier: I used up the last of the previous year's walnuts in some Walnut Cream, served with homegrown pears poached in white wine syrup and some plain madeira cake. I defrosted some tasty chicken casserole cooking liquor and added chunks of Label Rouge Aveyron Veal to it. Cooked in the oven for about an hour it turned out very well. Born in June 1550 Charles IX was the second of Henri II and Catherine de' Medici's sons to become King of France. He inherited the throne on the death of his older brother François in December 1560. Because he was just 10 years old his mother was appointed regent. Always sickly and spindly looking he developed a ferocious determination to engage in the daily hunting trips that kept the courtiers fit and occupied. Each foray was followed by an extended period of recovery from the exertion. Possibly as a result of his frustration at not being the elite athlete he so desperately aspired to he frequently lost control of his temper, lashing out physically and verbally at anyone in his presence in a way that frightened everyone. Charles IX at about 22 years old. and hangs in the Chateau of Azay-le-Rideau. Adding particularly to his daily tensions was the escalation of the unrest between Catholics and Protestants, leading finally to armed conflict in 1562. He found himself in a very difficult personal position. 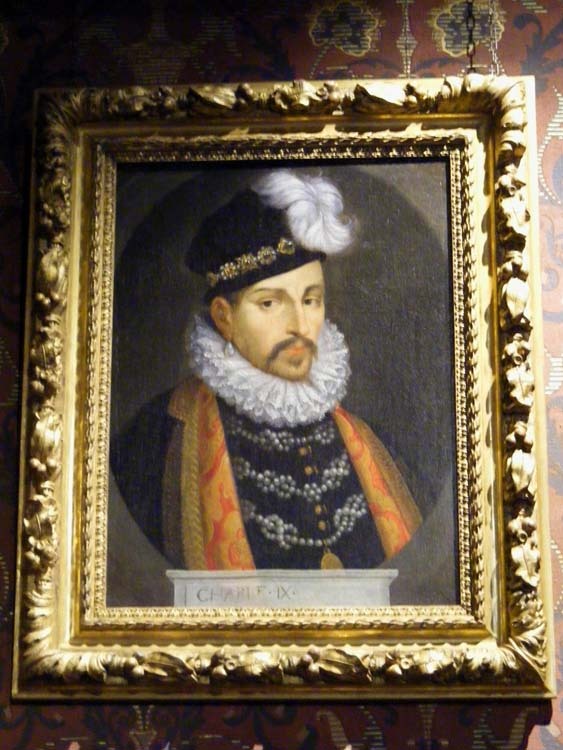 Although Catholic himself, his beloved mistress Marie Touchet was Protestant, as was his most trusted advisor by 1570, Admiral Gaspard de Coligny. Finally, in 1572, he arranged the marriage of his younger sister Marguerite to the leader of the Protestants, Henri de Navarre. This was supposed to work to unite the two sides and defuse the situation. Unfortunately, with high numbers of Protestants arriving in Paris for the wedding, some Catholics couldn't resist the opportunity for taking revenge for particular Protestant actions in the past. The young King handled it very badly, completely losing control over himself and screaming 'Kill them! Kill them all!' The Catholic faction needed no further encouragement and hacked thousands of Protestants to death in a killing spree known as the Saint Bartholomew's Day Massacre. Over the next two years the King's health deteriorated to such a point that he looked ten years older than his actual age. He was frail and mostly confined to his private apartments. His mental health suffered equally, until it was feared that he was mad. He died a month before his 24th birthday, probably of tuberculosis. His only legitimate child was a girl and so his younger brother Henri inherited the throne. To see further portraits of Charles IX, and particularly to see the change in his appearance over the years, go Les Derniers Valois. Addendum to Yesterday: For the answer to where the statue of Marie Gaudin is, see my update on yesterday's post. 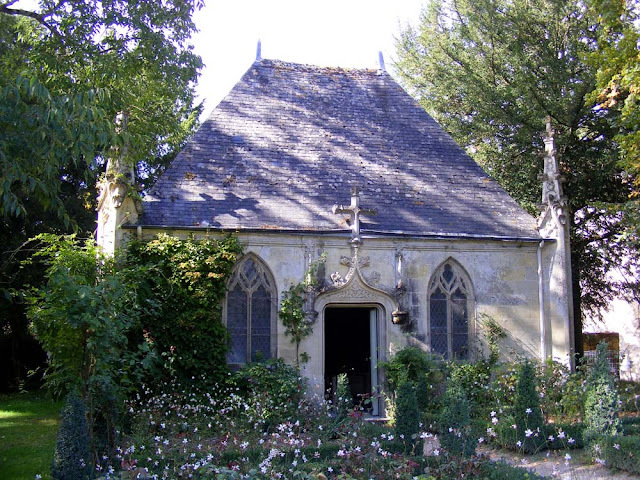 The chapel, created in the 19th century out of a former bothy. 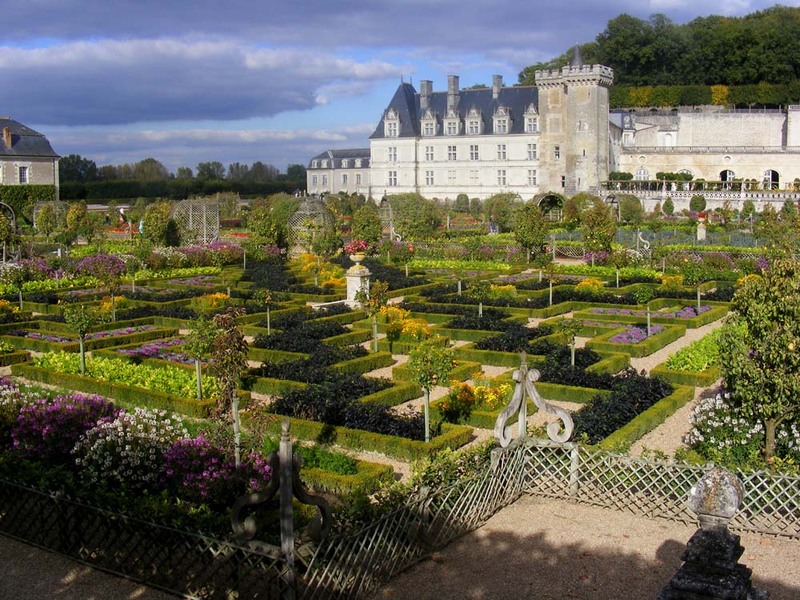 La Bourdaisière is a Renaissance chateau situated to the south-east of Montlouis-sur-Loire. Largely destroyed in the 18th century the chateau was reconstructed from the end of the 18th century to the beginning of the 19th century. The outbuildings, moats, former chapel and park with its 16th century gate were all listed as historic monuments in 1947. 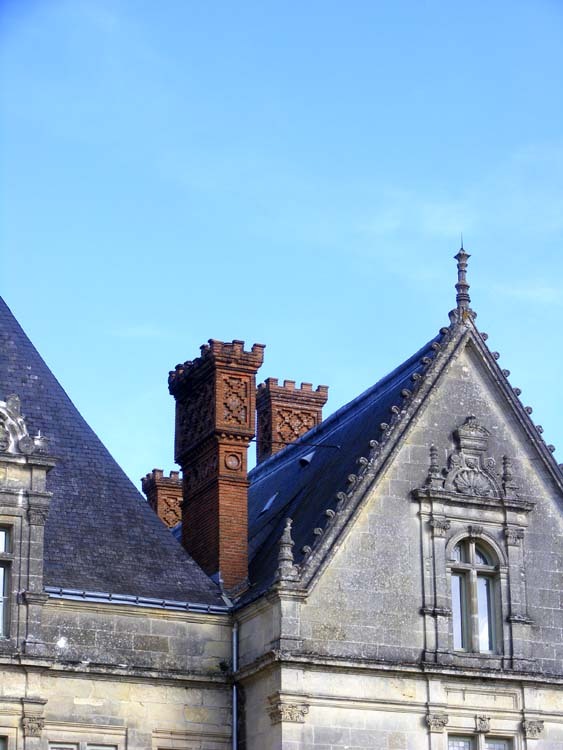 A detail of chimneys and gable on the chateau. 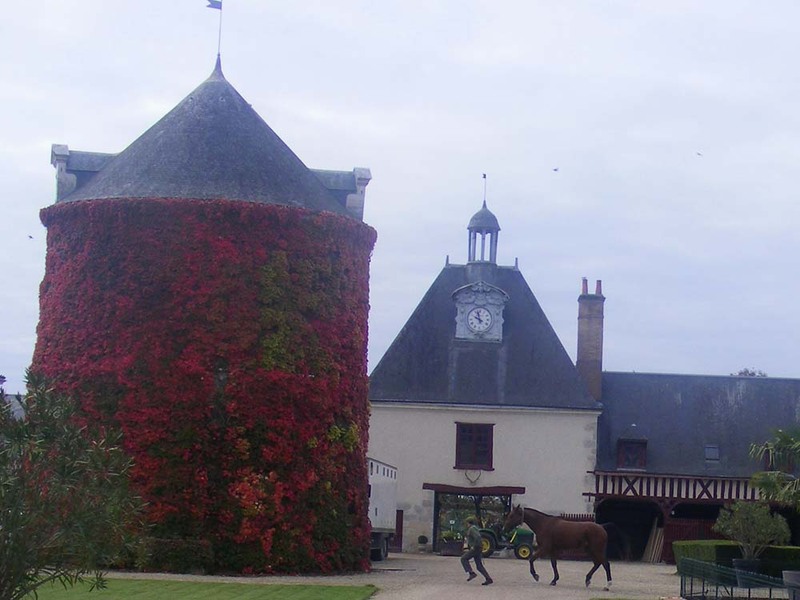 Before the construction of the chateau there was a 14th century fortress on the site. In the 15th century the owner was Nicolas Gaudin, the queen's treasurer. 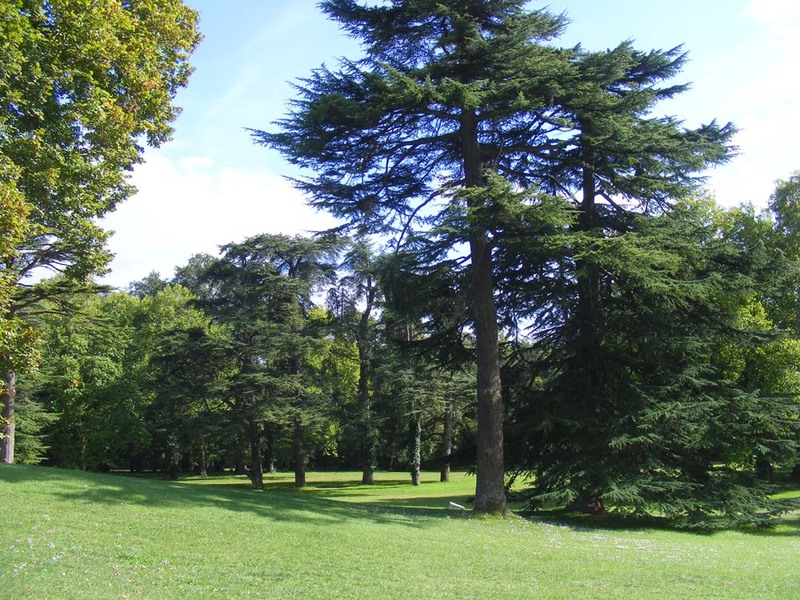 The park is a magnificent example of the 19th century landscape style, with many mature cedars, sequoias and oaks. In 1510 Philibert Babou became the owner when he married Nicolas' descendant, Marie Gaudin (notable as being the mistress of François I of France, Pope Leo X and Charles V the Holy Roman Emperor). She was the most beautiful woman of her day and according to a book written in 1834 her likeness may be seen in the statue of the Virgin in the Collegiate Chapel of Notre Dame de Bon Désir, for which she was the model. The book was co-written by Louis Gabriel Michaud, but I cannot work out where the chapel is/was, apart from 'between Tours and Amboise', as regurgitated by all the internet sites which mention her. Any information which would allow me to track down this statue would be appreciated. I don't know if there is a connection between the chapel and the Chateau of Bondésir. Michaud is the name of a Montlouis family, a member of which owned La Bourdaisière in the 20th century. In 1520 Philibert Babou decided to replace the fortress with a grand new chateau, keeping only one of the old medieval towers. The local legend is that his famous great-granddaughter Gabrielle d'Estrées, mistress of Henri IV, was born here, but it seems that there is considerable doubt about this amongst serious historians. 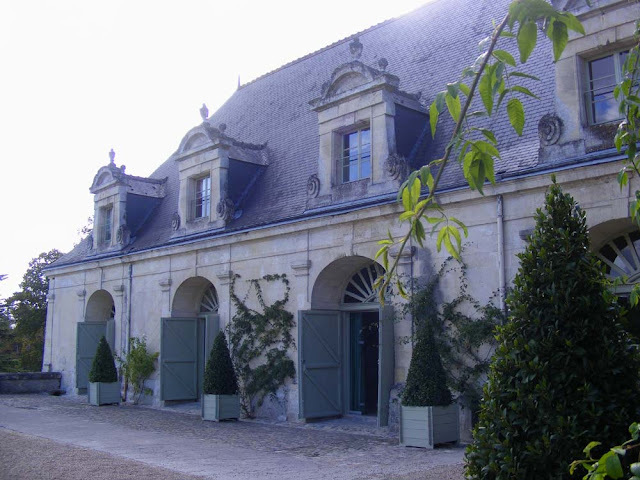 However, it was the home of her aunt, who brought her up, and the Babou family retained the chateau for several generations. But in the 17th century it went through the hands of several different owners. 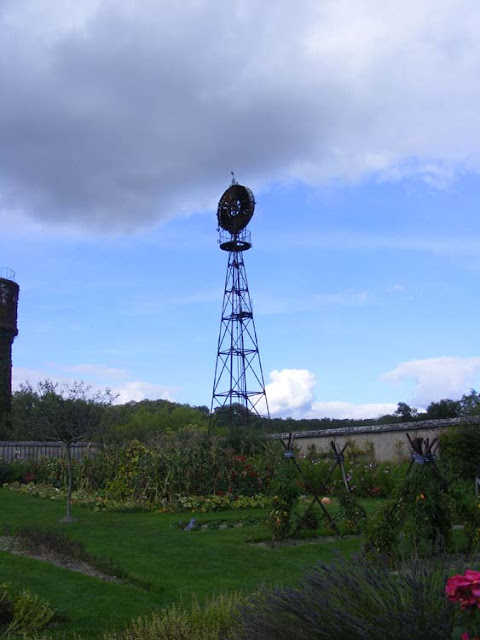 Finally it was purchased by the Duke of Choiseul, who demolished it, the story goes, to annoy the Duke of Aiguillon, his rival and enemy at Véretz. La Bourdaisiere and the chateau at Véretz more or less face one another over the river Cher and the Duke of Choiseul wanted to deprive the Duke of Aiguillon of his lovely view. 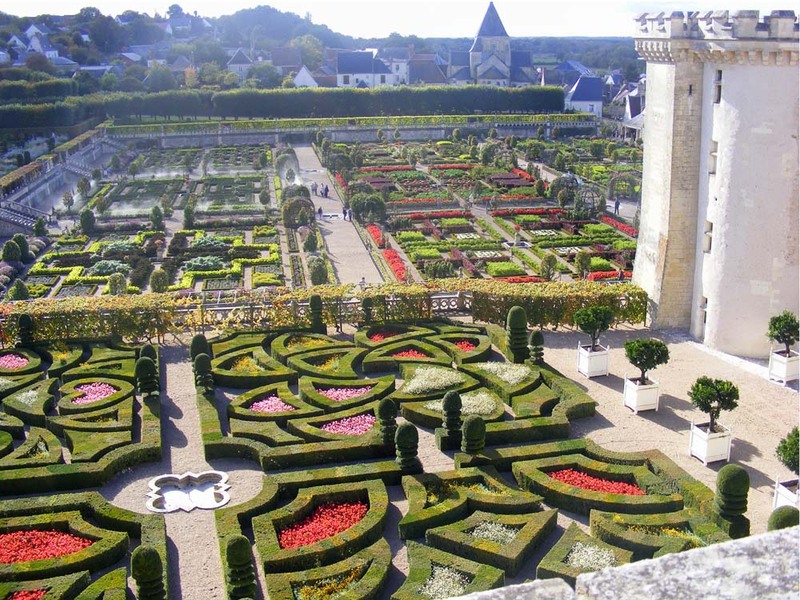 Plus, and probably more to the point, he wanted the stone for his new flight of fancy at his chateau of Chanteloup. The estate was seized as state property during the Revolution, and during the Terror the new owner began to reconstruct the building. This work was finished by his son in the 19th century, who chose to build in the neo-renaissance style. In 1923 it was sold to a wealthy American woman, then in 1938 it was bought by an Englishman. The Nazis occupied it during the Second World War. After the war it became a military school. By 1959 the place had been more or less abandoned and it was purchased by the local authority and turned into a retirement home. In 1988 it failed to meet modern health and safety requirements and was sold to a local notaire, François Michaud. He subsequently sold the estate in 1991 to the current owner, the Prince de Broglie. Summary: there is a tradition that the face of the Virgin Marie in the "Mise au tombeau" in Saint-Denis in Amboise is the face of Marie Gaudin; the other characters may represent members of her family. The sculpture was removed from the chapelle de Bondésir in the 19th C.
Many thanks JLM, for this and the wealth of other information you sent with it (which will no doubt appear in forthcoming blog posts). If like me you've had a good Northern Hemisphere apple year you now have a billion trillion apples in boxes and on trays in your pantry. You'll be looking for apple recipes and in France what could be better than the classic Tarte Tatin? One of my tarts as it emerged from the oven. I chose to follow Clotilde Dusoulier's simple instructions but doubled the quantity to make two rectangular tarts rather than the usual round version. This used about 15 of my variably sized apples (1.6 kg) so made a worthwhile dent in one tray in the pantry. There seems to be no question that the Tatin sisters created the recipe in the 1880s and it became the signature dish of their hotel in Lamotte-Beuvron in the Sologne (the area between Blois and Orléans). They called the dessert Tarte Solognote. It seems to have been the famous Parisien restaurant Maxim's who dubbed it Tarte Tatin in the 1930s. One of my tarts flipped for cutting and serving. The original version seems to have been made in a cast iron Dutch oven, in the same way as one makes damper, by putting the pot in the coals and covering the deep sided lid with coals too. The sisters used the still popular old Tourangelle apple variety Reine des Reinettes (I used a mixture of this variety and Melville), and the apples were not peeled (I peeled mine, Clotilde compromises by partially peeling hers). 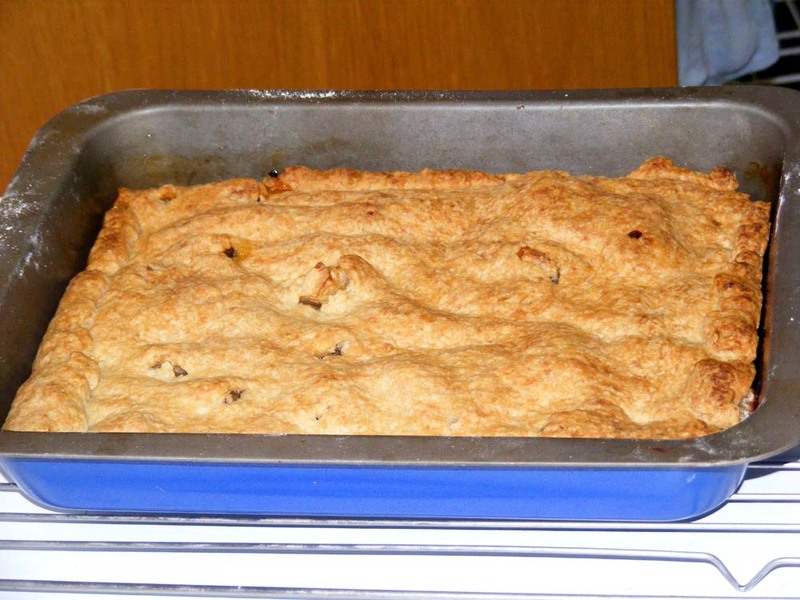 The tart is traditionally served warm, unaccompanied by custard, cream or icecream. 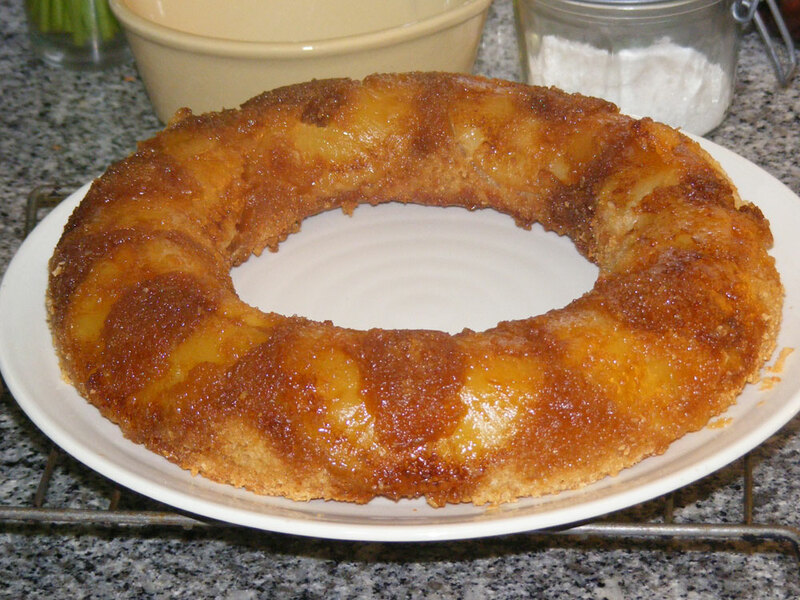 The original recipe contains no spices or anything other than apples, flour, butter and sugar (and very sensibly, nor does Clotilde's recipe that I followed). 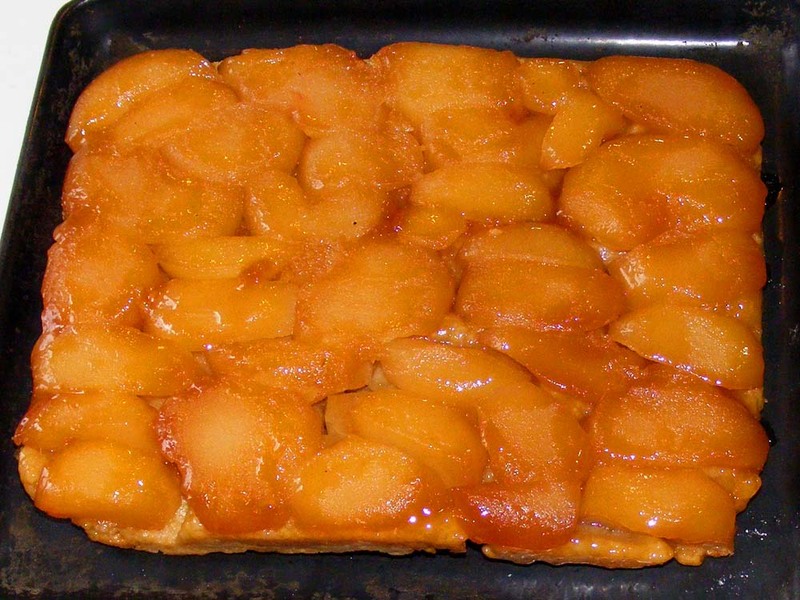 Traditionally the tart is an upside down shortcake, which is made by putting a layer of apple chunks on the base of a dish with plenty of butter and sugar to form caramel. Then a simple pastry is laid over the top, the ensemble baked then turned out so that the caramelly apple layer is uppermost for serving. To be honest, if you are nervous about turning the hot tart, there is no real need to do so. 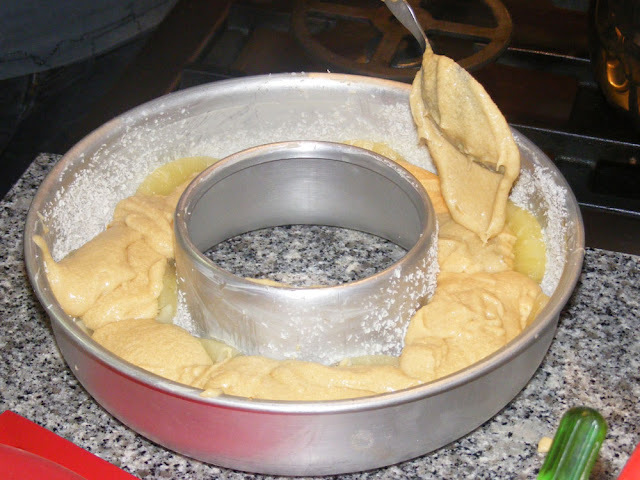 Just cut and flip each portion as you place it in the serving bowls, or leave with the pastry on top. It will taste the same either way. 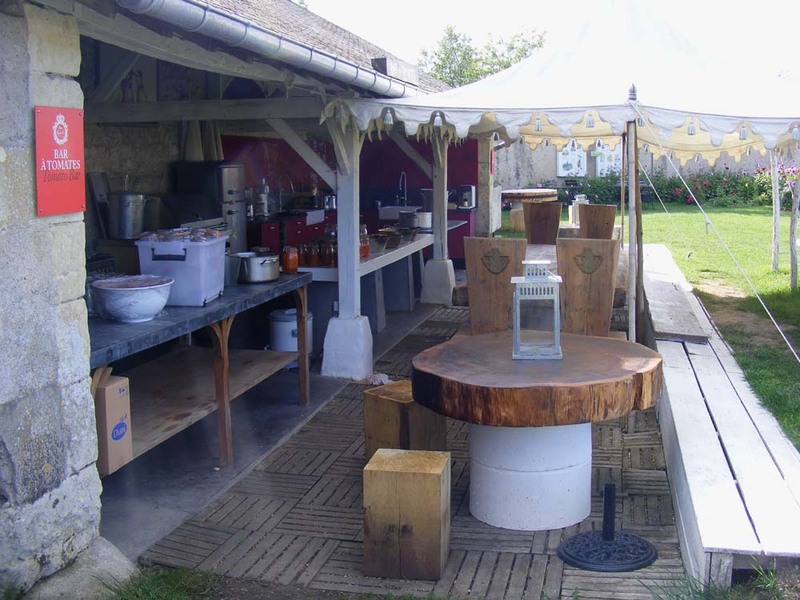 Chez Madeleine in Cour-Cheverny is a restaurant we have just started using. It is large and modern but serves stylishly presented food with a twist on traditional dishes. 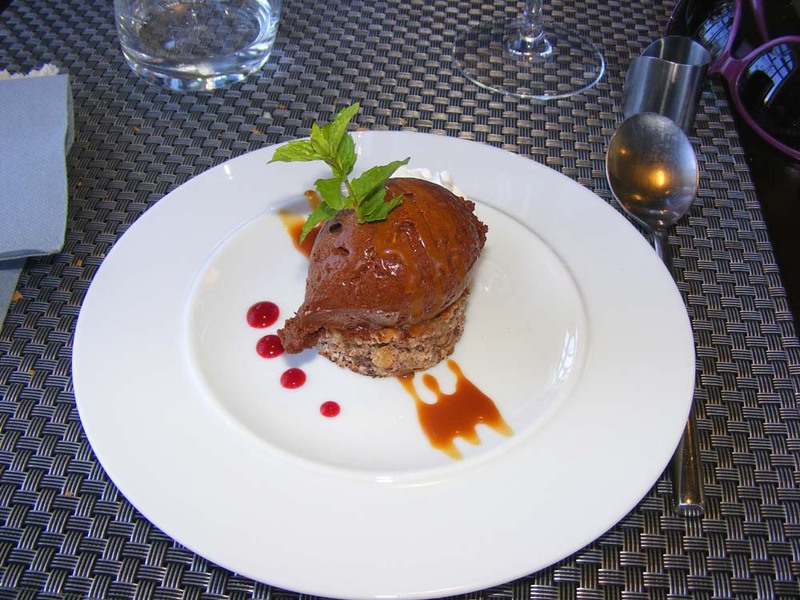 Their weekday set menu is €16.00 for three courses (starter, main and dessert). The other day it was turkey and goat cheese rillettes followed by beef cheek parmentier (with sweet potato rather than regular potatoes) and chocolate mousse on a hazelnut cake. Our bill for four people, including wine and coffee, came to €85. The restaurant has ample and easy off street parking right out the front, which is important for us Traction Avant travellers. My dessert at Chez Madeleine recently. On one level this restaurant is extraordinary, offering an inexpensive meal that is a real treat and a showcase for fresh local produce. On another level, it is unexceptional. Restaurants like this can be found all over the Touraine Loire Valley. They are usually run by youngish husband and wife teams (with 1-3 staff) who are living their dream to present their food to the public, but also pragmatic about the fact they are running a business. Their skills are high and their passions strong. 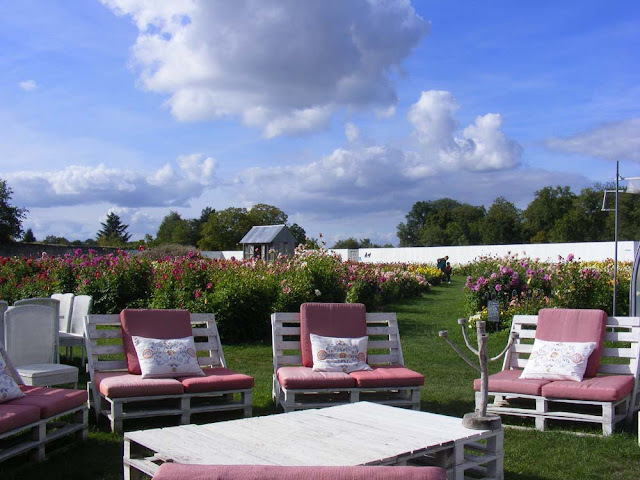 For a list of other similar restaurants that we like in the Touraine Loire Valley see our list of Useful Links for Visitors on the right side bar. 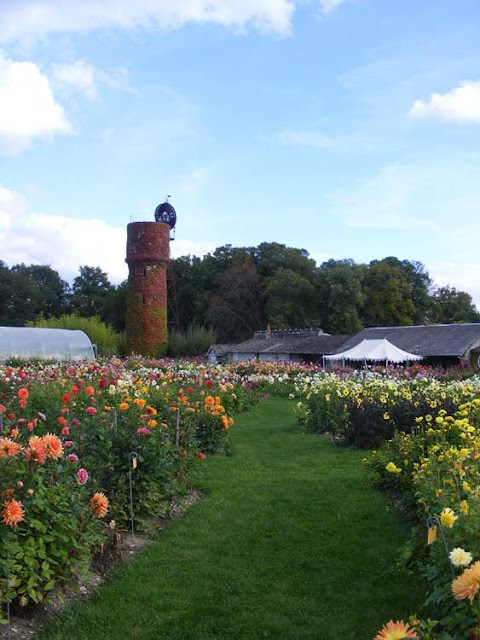 In other restaurant news, we had an email recently from Julien Pascal, letting us know that he and his wife took over the Clos aux Roses in Chédigny at the beginning of October. They plan to continue running the restaurant in the same style as the previous owner Stéphane Tortissier. Since Clos aux Roses is currently in our top three favourite restaurants we hope that the high standard and good value will continue under their ownership and wish them and Stéphane all the best in their respective new ventures. 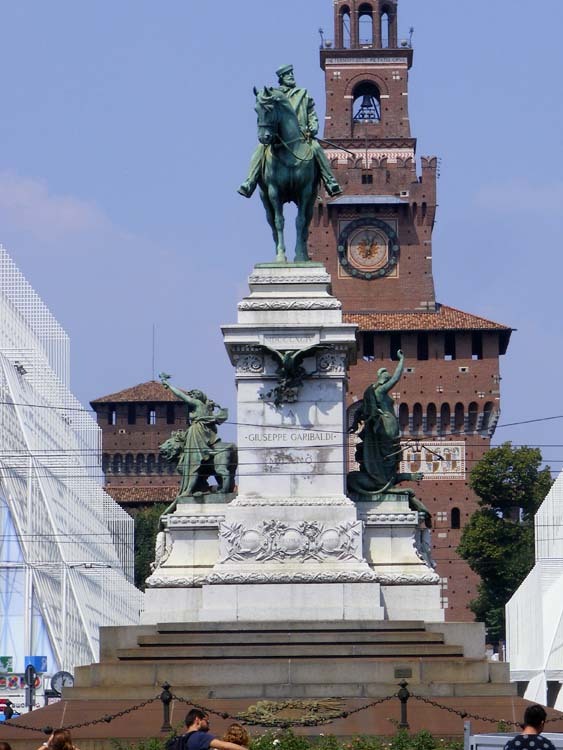 The monument to King Victor Emmanuel II in the Piazza del Duomo, Milan. The equestrian bronze statue shows Victor Emmanuel during the Risorgimento, as the movement which drove the unification of Italy in the 1850-60s is known. Despite being cast in 1878 the statue was not placed in its current position facing the cathedral until 1896. Although the first king of a united Italy, Victor Emmanuel retained his existing title as King of Sardinia, and is thus Victor Emmanuel II, not as you would expect, Victor Emmanuel I.
Christmas Trees: The Parents and Friends of the State Schools in Preuilly sur Claise (Association des Parents d'Elèves et Amis des Ecoles Publiques de Preuilly sur Claise) are organising the sale of Christmas trees. The trees (Sapins Nordmann or Nordmann Firs) are the sort that don't drop their needles. If you want one you need to order it by 2 November. To do so pick up an order form from the boulangerie or other shop in Preuilly, attach your cheque to it and drop your order in to the mairie. You can pick up your tree at the Christmas market on Saturday 5 December in the Place du Champ de Foire. The money raised goes towards financing cultural activities for the children. 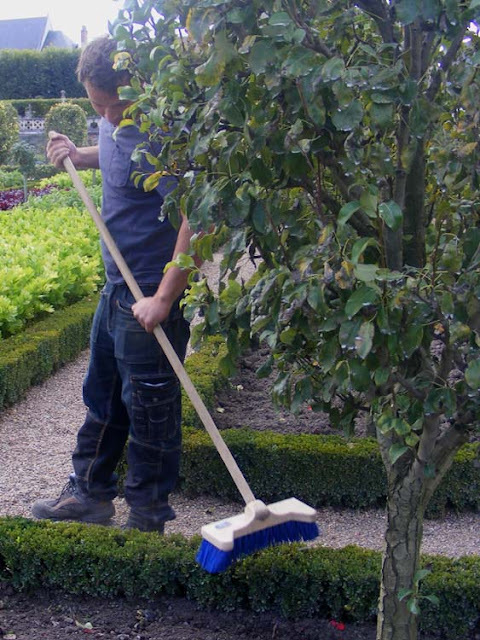 Prices range from €15 for a 80cm to 1m high cut tree to €35 for a 175cm to 2m high cut tree. You can also get trees in pots suitable for planting out after Christmas. 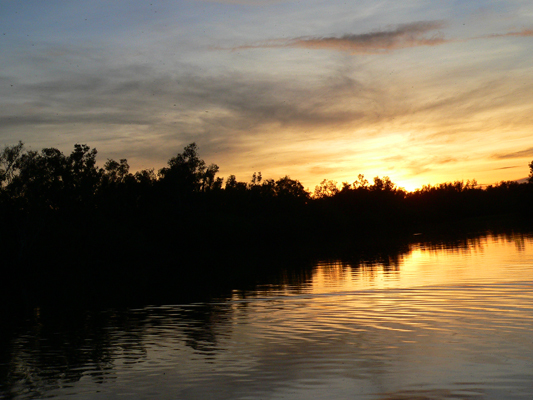 Sunrise on Home Lagoon in Kakadu National Park is generally accompanied by the clattering sound of White-bellied Sea Eagles vocalising and pair bonding. Véronique Davault from Domaine de la Chaise in Saint Georges sur Cher draws off a glass of partially fermented sauvignon blanc juice for us to taste on 29 September. It was very sweet and already with an alcohol level of about 8%. This semi-fermented juice is known as bernache, and whilst it is always fun to taste, you should be careful how much you imbibe. All that raging yeast activity that is still going on can give you a terrible tummy ache. 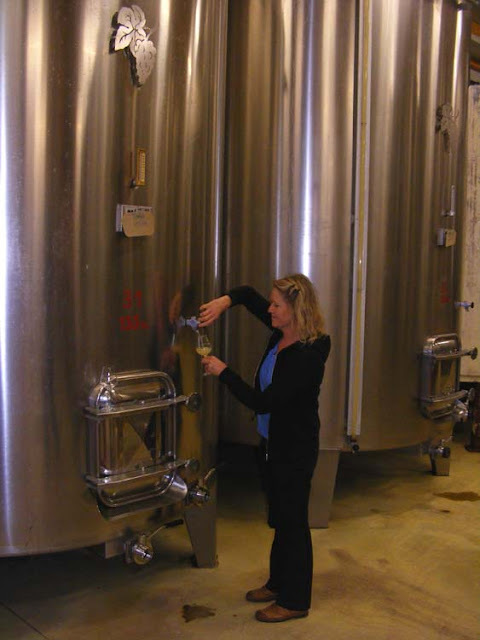 Véronique says it doesn't affect you if you are tasting the juice/wine every day from each of the vats like the whole Davault family are. I would have believed her, but then she went on to tell me a story about her son Quentin, who's training as a winemaker, having a few glasses too many and regretting it. Quentin will be the seventh generation of his family to make wine on the family farm. Not that many local winemakers sell bernache, but if you arrive at the right time they will generally let you taste like this, straight from the vat. Véronique is dubious about the origins of the bernache you can buy in the supermarket. She says it isn't local, but comes from some more southerly region of France, or possibly Spain. 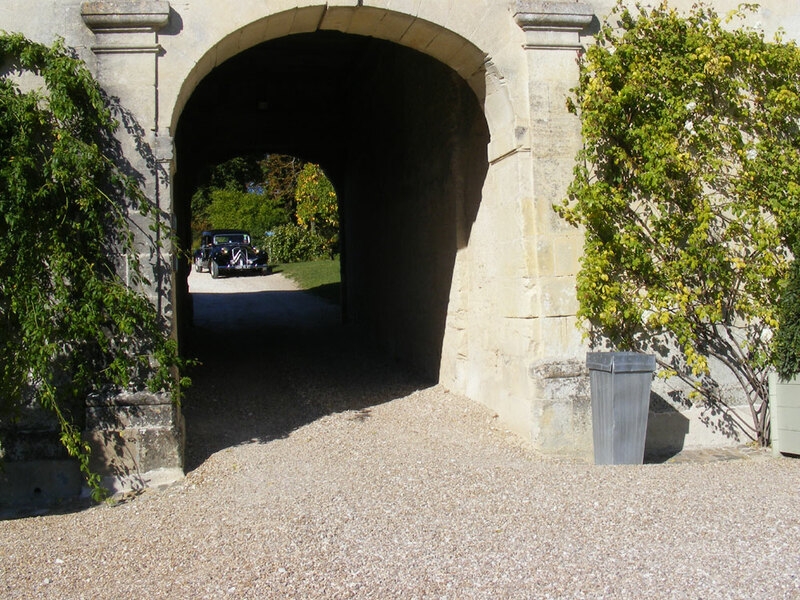 The bulk of Domaine de la Chaise's production is sauvignon blanc and this year, due to wet windy weather in the spring, pollination was poor and so the quantity of grapes is low. Their reds (côt/malbec, gamay and cabernet franc) all have more or less normal yields though. A la cuisine hier: Céleri rémoulade, since celery root is in season now. I used my new whizzy wand, which has fancy attachments, to make the mayonnaise. Using the beaker and whisk I managed to spray cream and mayonnaise all over myself and the kitchen. I also made carottes et betteraves râpées, with homegrown beetroot. Also on the menu was potato salad, slow roasted homegrown tomatoes and peppers from the potager garden at Villandry, served with chicken thighs seasoned with a salt curry mixture from Ile d'Oleron. This horse was being made to jog up and down in the stableyard of the Chateau of Cheverny the other day. I've no idea why. Recently we decided to check out the Chateau de la Bourdaisière in Montlouis sur Loire. 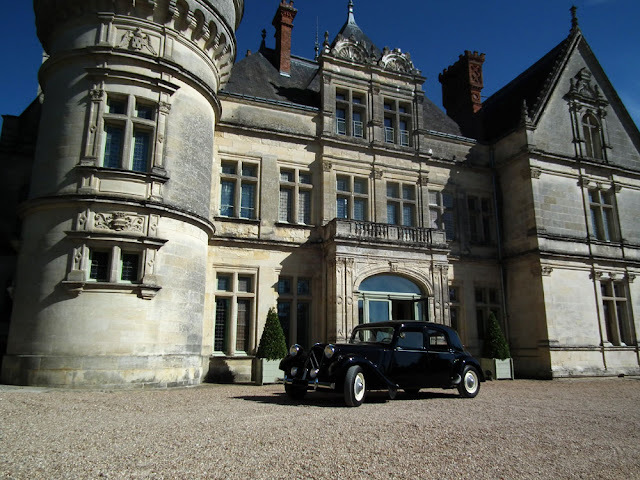 It's owned by one of the Princes de Broglie and is run as a hotel. 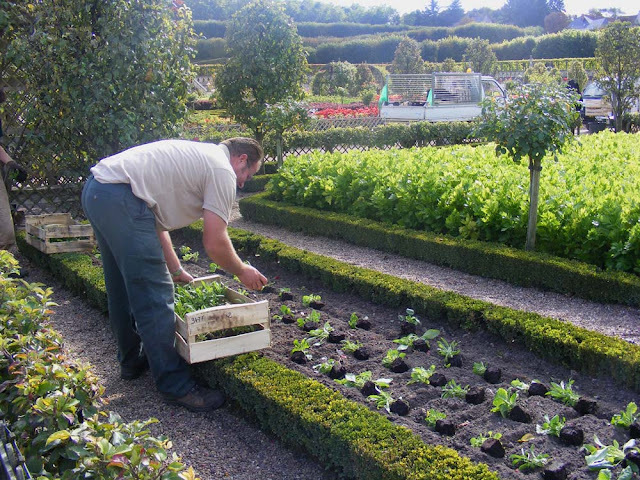 The grounds serve as his laboratory and conservatoire for his gardening and sustainable farming passions. Prince Louis Albert de Broglie is an intriguing character. 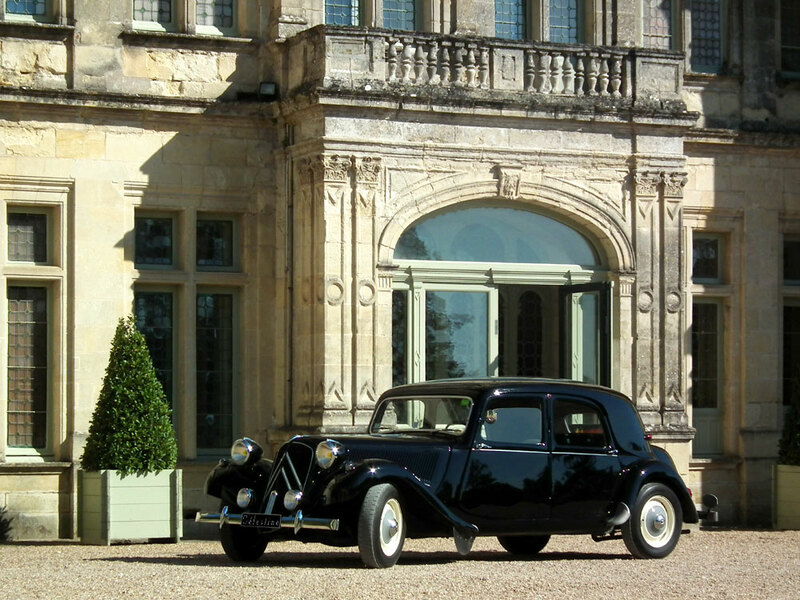 He bought the chateau 25 years ago almost on a whim, because he loved its romantic atmosphere. He and his wife have refurbished the building using eco-friendly and sustainable techniques and materials, and turned it into a hotel that feels like a grand but friendly family home. The atmosphere they have achieved here is relaxed, luxurious and egalitarian. 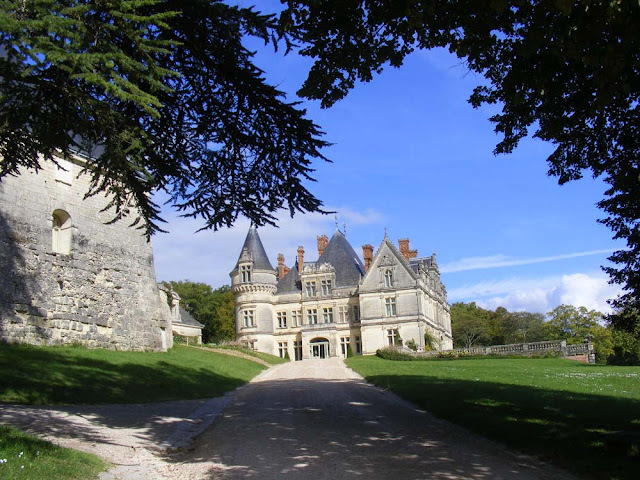 The current chateau is a 19th century building, but the original chateau on this site was built for one of François I's mistresses, and the childhood home of Gabrielle d'Estrées, mistress of Henry IV and mother of Césare de Vendôme. The original was demolished in the 18th century by the Duke of Choiseul to provide stone for the Pagoda at the Chateau de Chanteloup. The lovely 19th century renaissance revival building that replaced it is not the only piece of romantic French heritage that the Prince has saved. 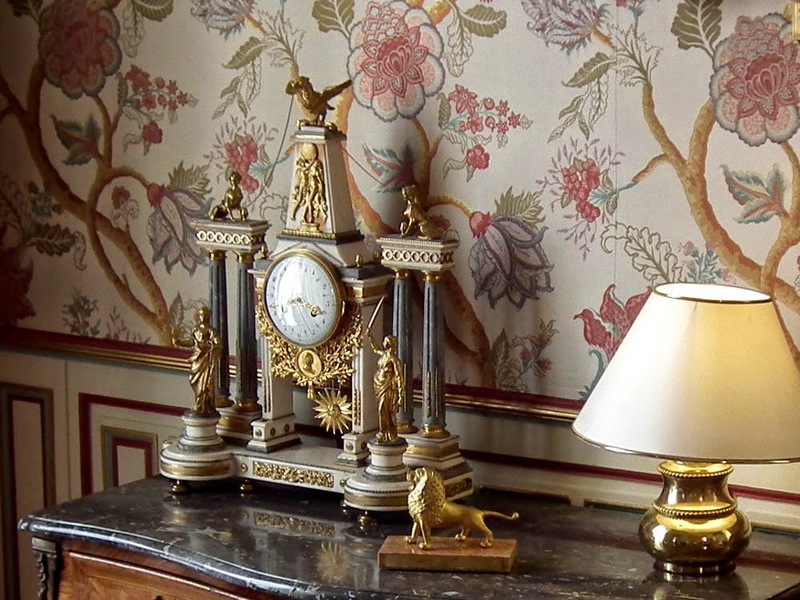 He is also the owner of the extraordinary taxidermists Deyrolle in rue du Bac, Paris, and is responsible for saving Deyrolle first from financial ruin, and then from a devastating fire. You don't have to book a room at the hotel to enjoy the lovely surroundings. 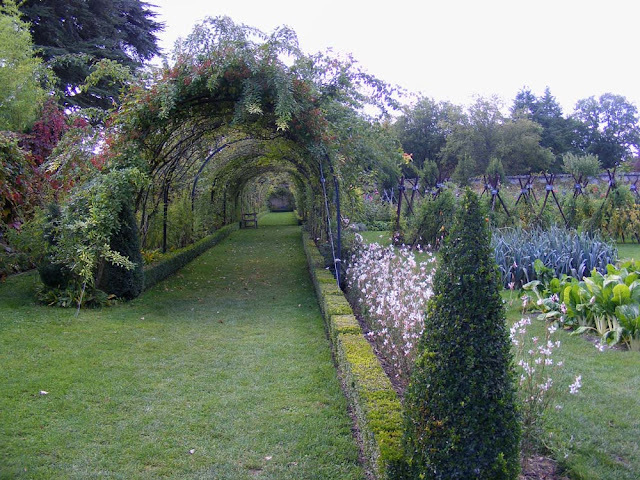 Visitors can come and pay an entry fee of €7.50 to wander about the park and gardens or stop for a cup of coffee or a tomato treat at the charming café or quirky bar on the site. 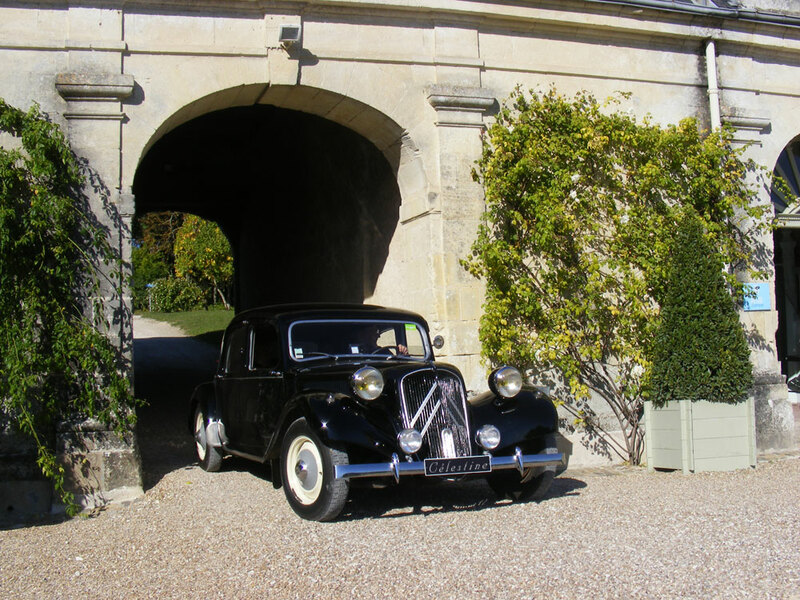 We were very kindly given permission to drive up and park right in front of the hotel so we could take these photos, but normally visitors park down at the gate and walk up, whilst hotel guests park behind the stable block. 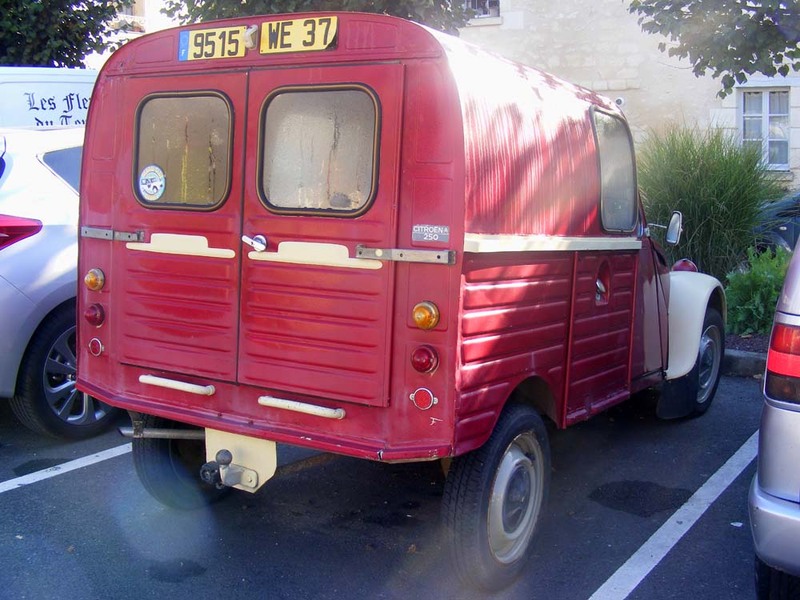 This little Citroën 2CV van (a style known as a camionette or fourgonette in French) strikes me as an excellent vehicle for tootling up and down to the orchard loaded with compost and tools. They generally cost a couple of thousand euros to buy. This one looks fairly good, with roof rack and everything, although I prefer the colour of this one. The late summer planting at Villandry is at its peak now and the famous potager garden is looking splendid. This year there are a lot of very dark purpley black plants set off with bright lime green ones and a sprinkling of soft grey greens. 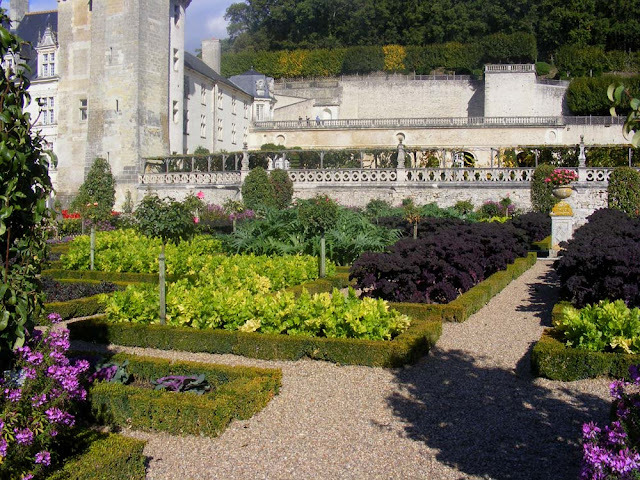 Looking back over the potager from the herb garden towards the chateau. contrast of colour and leaf form. Unfortunately looking straight into the afternoon sun for this photo from the belvedere. Planting pansies and wallflowers to overwinter. Sweeping the box hedging to get rid of soil and weeds which have accidentally been dropped on it while preparing the bed. The Alpini are elite mountain troops in the Italian Army. They are the oldest active specialist mountain warfare troops in the world and were established in 1872 to defend the Italian borders with France and Austria. The men are recruited from the mountain regions of Italy. 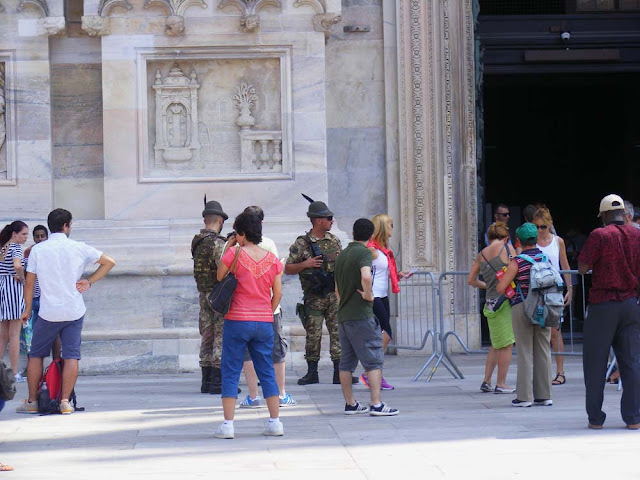 A pair of Alpini guarding the entrance to the cathedral in Milan. They are easy to identify because of their distinctive cap decorated with a raven feather. We saw them all over Milan at places which might be at risk from terror attacks, such as the cathedral and railway stations. Often they were not carrying guns but they wear bullet proof vests and carry radios. Their most valorous combat was during World War I, when they defended a 600 km stretch of the highest alpine territory. Twelve metre deep snow was not uncommon and many men were killed by avalanches. Their bodies are sometimes found even today. These tough mountain men and their mules created walkways, cable cars, mountain railways and roads which are still maintained for the use of modern climbers. This Saltwater Crocodile, not yet fully grown male I believe, is the one and only crocodile I have ever seen in the wild. 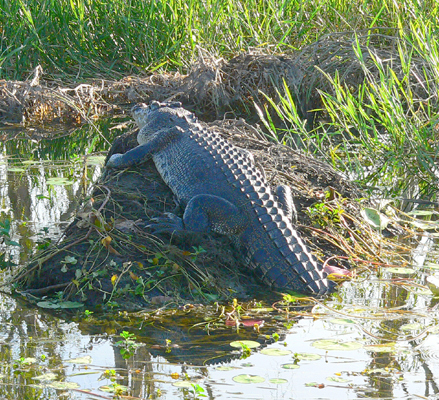 It had hauled itself out to catch some early morning rays in Paperbark Swamp, part of the World Heritage Listed Kakadu National Park in the Northern Territory of Australia. Attacks cause injury or death. Do not enter the water. Keep away from the water's edge. Do not clean fish near the water's edge. Remove all fish and food waste. This one was photographed from a small open metal boat with an outboard motor, known as a 'tinnie' in Australia. I assume what we were doing was fine, because we had a park ranger with us. It didn't move a muscle as we passed. Apparently the number of fatal attacks on humans by crocodiles last year was a record in the Northern Territory, with four deaths, two of them in Kakadu and one just outside the park. 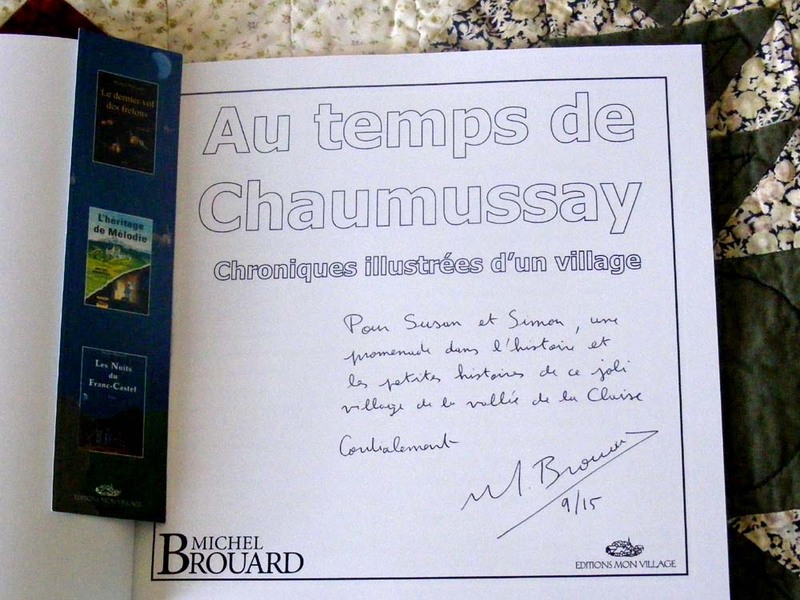 A few weeks ago we had an email from Michel Brouard. He is a blog reader who delurked when we posted photographs of the wonderful sculptures on his family home in Chaumussay. He told us in a comment that they were the work of his brother Alain, who is a sculpture living in Brittany. Some time later we were at the brocante (trash and treasure) in Preuilly and he came up to us and identified himself. In his email he asked for our postal address and said he had just published a book on the history of Chaumussay that he thought we would be interested in. I responded as requested and very soon after a parcel turned up in our letter box. It contained not one but two books, both by Michel. There was a nice note with them and an explanation. He lives in Switzerland where he works as a scriptwriter and director at a regional television station, but he also writes novels, and most recently, a history of Chaumussay. 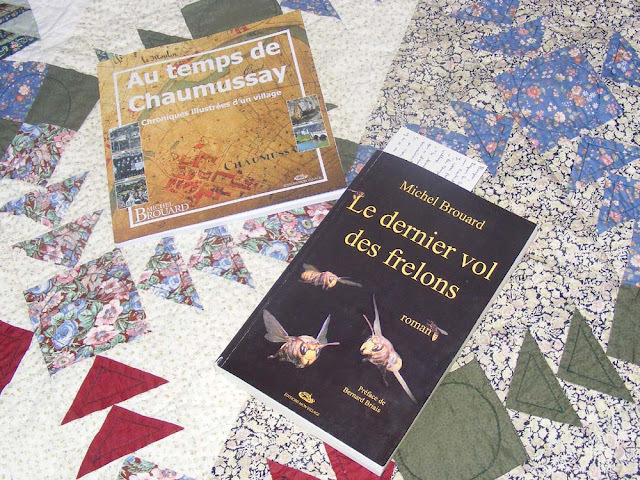 He grew up in Chaumussay and his latest novel, Le Dernier vol des frelons ('The Hornets' Last Flight') is set in a barely fictionalised Chaumussay. Au Temps de Chaumussay: Chroniques illustrées d'un village ('The Life and Times of Chaumussay: An illustrated chronicle of a village') tells the story of a bucolic village far from any of the main thoroughfares, seemingly timeless, set on the charming River Claise, in picture postcard countryside. This little village has a rich and curious history and Michel has researched documents, photos and personal testimonies to tell its story. We've discovered several things we'd never heard of before thanks to the book and I am sure we will use it as a resource for any number of blog posts about Chaumussay. The novel Le dernier vol des frelons sets Chaumussay (as Saint-Valentin) in the centre of an archaeological detective story involving the discovery of a skeleton with its hands cut off. The heroine is a young archaeologist who grew up in the local chateau. After being asked by the mayor to look at the skeleton and advise him she becomes involved in a complex plot which features a peculiar professor and a Swiss sect. Events escalate and despite her courage and humour she is caught up in a frightening situation. I'm about half way through and definitely want to find out what happens in the end! It's fun trying to identify real places and people as they appear in the book, and I'm enjoying the fact that there is a supporting caste of well observed insects. 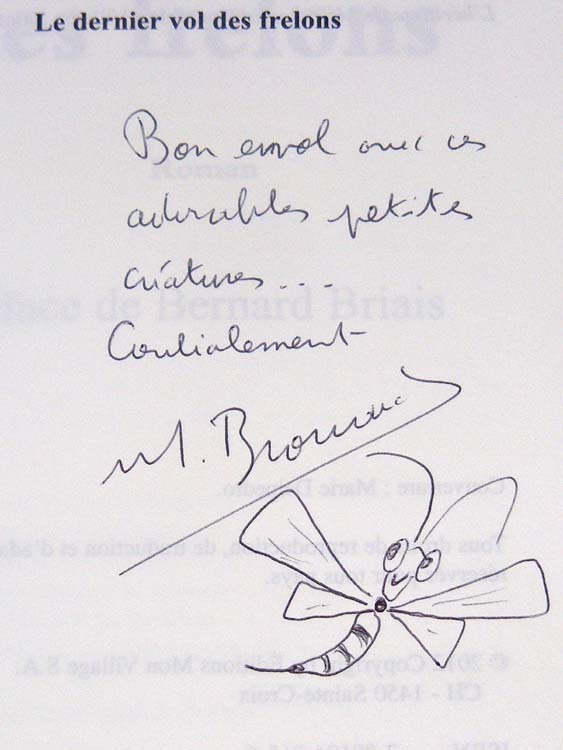 Michel says that the books are available at the newsagents in Preuilly and Le Grand Pressigny, or directly from him. The history of Chaumussay is €20 and the novel €15. If you would like his contact details just email me and I will send them to you.